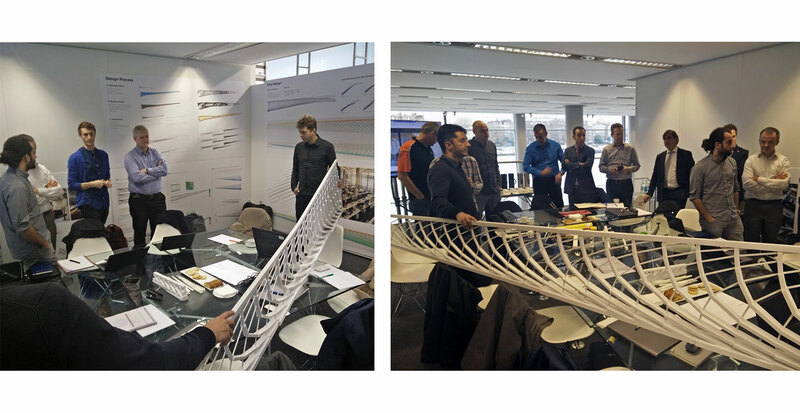 During the 12th and 13th of December, a project meeting took place in London, where all the partners were present to discuss the next steps of the project development and technical details, as well as analyze the future actions and their impact. Specifically, this meeting was used to define and discuss the specifications of the components the project end-users will propose as demonstrators of the LASIMM technology and concept. The machine resulting from this project will be equipped with both subtractive and additive manufacturing technologies, as well as featuring additional capabilities for machining, cold-work, metrology and inspection that will provide the optimum solution for the hybrid manufacturing of large engineering parts, with cost benefits of more than 50% compared to conventional machining processes. In this ambitious project are engaged ten partners, comprising six companies, including the entire supply chain needed to produce such a machine, two Universities and two research institutes. Project partners include the European Federation for Welding, Joining and Cutting, BAE Systems (Operations) Ltd., Foster + Partners Limited, Vestas Wind Systems A/S, Cranfield University, Global Robots Ltd., Loxin2002, S.L., Helmholtz-Zentrum, Geesthacht Zentrum fur Material – und Kustenforschung GMBH, Delcam Ltd. and Instituto Superior Técnico. LASIMM project has received funding from the European Union’s Horizon 2020 research and innovation programme under grant agreement No. H2020–FoF-2016-723600 — LASIMM. Copyright © 2016 EWF. All right reserved. This project has received funding from the European Union’s Horizon 2020 research and innovation programme under grant agreement No 723600.